This is Avila Ami (or Baby Ah-lah-lah, according to the two year old speak of Baby O). She has only been outside the womb for not even a week, but we can tell she already has a magnetic personality based on the way her siblings flock to her every chance they get. BigBoy even commented this morning, "Why was I ever mopey about a little sister?" He originally thought a little brother would be a better idea but understands now that God knows best. She is the teeniest, tiniest baby I have ever had, weighing a full two pounds less than The Professor when he was born. I can't tell you the number of times we've all said, "She's sooooo tiny!" because she is!!! 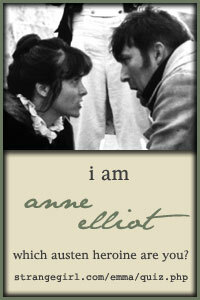 As Margaret pointed out, her middle name can be pronounced "uh-ME" like the french word for loved one or friend, "amie". But since she will most likely be spending the bulk of her childhood in Texas, it will also be pronounced "Amy" because it's just easier to say it that way and have people understand... I guess it just depends on whether or not I'm in a foreign frame of mind at the time. Now, I had spent some time looking at September feast days and talking with this little one about which days would make a great birthday. (I will write up her birth story soon, once the shock and awe wears off a little. Suffice it to say that the Holy Spirit was in charge of this birth plan and we know for a fact that "miracle" is not too melodramatic to describe the situation at all.) The 5th was Blessed Mother Teresa's feast day. Today, the 8th, is the birthday of the Mother of God, who wouldn't choose today as a birthday? The 12th is the feast of the Most Holy Name of Mary and a very special day in our family's liturgical year. I even looked at my due date, the 15th (Our Lady of Sorrows) and the 23rd (St. Padre Pio). Never did I think to check the 2nd! In fact, I remember not even really considering the 5th as a possibility telling a friend that that would be "WAAAAY too early for me to have a baby!" It wasn't until we arrived home that I had a chance to look at the liturgical calendar and discovered that the 2nd is the feast day of the Martyrs of September, a group of French seminarians who were martyred during the French Revolution! So if this little one someday jets off to study French at the Sorbonne, I will not be surprised. P.S. Sorry to cut this short so abruptly but I've been told that the problem with being severely anemic and having had major abdominal surgery is that I can't even think about starting iron supplements for two weeks since they can have a negative effect on the digestion. So when my energy is gone, it's gone! It's taken me two days to put even this much together. Today is my husband's b-day and tomorrow is mine....the month is full of feast days for sure!! God bless you and that sweet baby, you did a great job for no energy!!! Oh, Charlotte! I'm still reveling in your happiness. She is beautiful! I understand completely how it feels to be without energy. I, too, was *severely* anemic after my last baby (almost 2 years ago now!). It was a HUGE feat for me to just get into my husbands truck to go visit the baby in the nicu. I had lost so much blood leading up to the birth and then after the c-section I was critically low. I didn't have an infusion, though several doctors argued with me to have one. I also understand about the digestion and iron supplements, but could you try to get more meat into your diet? My husband would make me steak everyday. Steak and eggs became a regular breakfast for a while. You will continue to be in my prayers for a complete and quick recovery from the surgery and for your iron levels to come back up. Rest is the order of the day! I'm surprised you wrote that much. ;) She's a dolly....continued prayers for all of you! Oh my goodness, I was SO looking forward to this post because I knew you'd describe it beautifully. She is such a honey, Charlotte, and I know your birth story will be a humdinger. Do you like how I'm already putting pressure on you for another post? Welcome home! Happy feast of the Maternity of Mary! 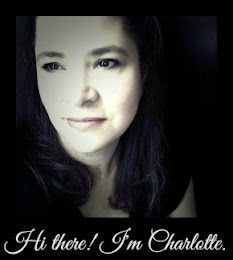 Oh, she's just perfect, Charlotte!!! God bless you both! Thank you so much for sharing her photo and a bit of her story. I can't wait for the rest of it. But I will because even more than hearing her story I want you to rest. you're right sooo tiny and sooo perfect. a hug and a kiss from us. She is so beautiful ... and her name is gorgeous, too. Oh my, she's so beautiful and dainty. A lovely name for an adorable baby. Congrats and hope you get to feeling better. What a sweet little one! She looks alert and smiling for the camera! Take it easy, Charlotte. Sending lots of hugs and love to little one! She is beautiful! Enjoy your babymoon! Take this time to really rest up, you will get there and will be feeling better soon. I love her name and she is so beautiful. She has the sweetest look on her face. Please take care of yourself, Charlotte. You are such an inspiration for so many. Ah-la-la is a little miracle, for sure! Sugar and spice and everything nice!!! She's just so beautiful! You rest. Oh She is precious! Now I see a little bit of her brother in her.. she's adorable. Kiss her for me! I think her name is beautiful. Truly gorgeous. I hope you get to feeling like yourself (well, as much as you can with a newborn) soon. I have been thinking about you guys so much! Jessica was telling me all about you and sweet baby while we were driving up to the hospital here. You are right about the miracle part and I am so happy and pleased for you guys. Get your strength back up!! God bless you all! Charlotte, she is so adorable! Congratulations again.